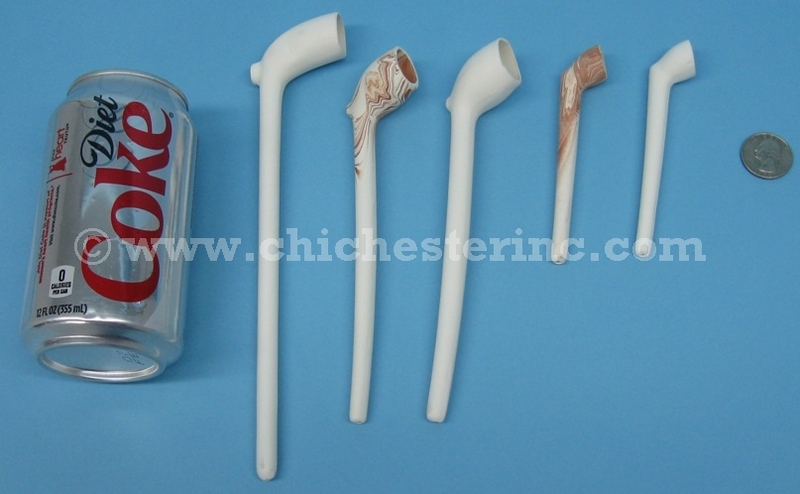 Top two are Elizabethan Clay Pipes - White and Marbled. 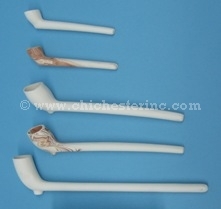 Middle two are Colonial Gouda Clay Pipes - White and Marbled. 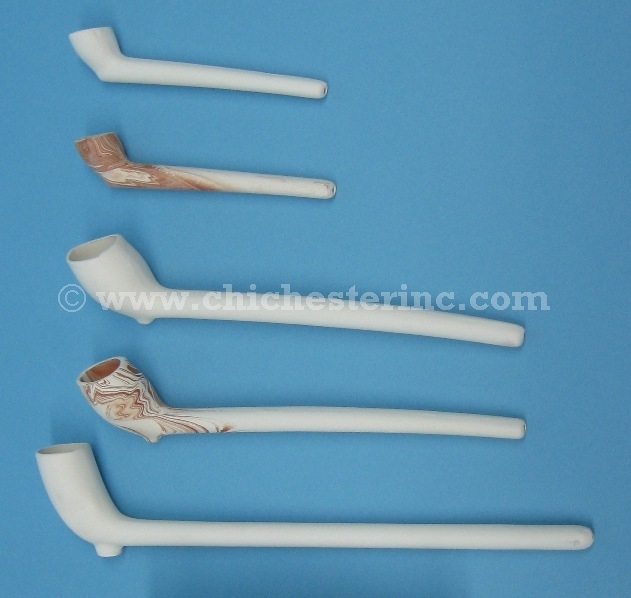 Bottom one is English Style Clay Pipe. All of the clay pipes are modeled after original pieces from the 1600's through the late 1800's which make them suitable for re-enactors of the French and Indian War, Cival War, Pow Wow's, Revolutionary War, Mountain man portrayals, and others. The clay pipe will provide you with the true taste of tobacco without compromising quality or integrity. See more pictures and descriptions of the styles available below. The Elizabethan style is from the mid 17th century to early 18th century. It is available in white and marbled. The Colonial Gouda style is from the late 17th century to late 18th century. It is available in white and marbled. The English style is from the mid 18th century to mid 19th century. It is available in white.